A superb 4-star campsite with great facilities ideally located 900 metres from a fabulous sandy beach and creeks with clear tuquoise waters in pointe de trévignon. 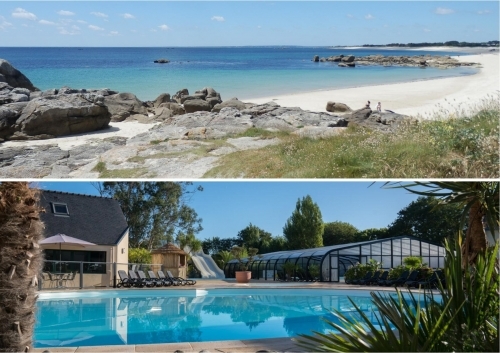 finistère is a magical holiday destination boasting stunning scenery and seascapes. a footpath located 250 m from the campsite leads directly to the beach. the campsite offers a wide range of activities for children, teenagers and adults. the campsite has a fitness room open throughout the season, free of charge, as well as an outdoor fitness circuit, body boomers. in the pool complex, there is a hot tub, massage jets, cascade, counter-current river and aquabikes. we offer a bike hire service so you can explore the area from a different angle. wifi is available all over the campsite. pay as you go tickets are for sale with different options to suit the duration required. a free wifi hot spot is available around the entertainment room, bar and games room. 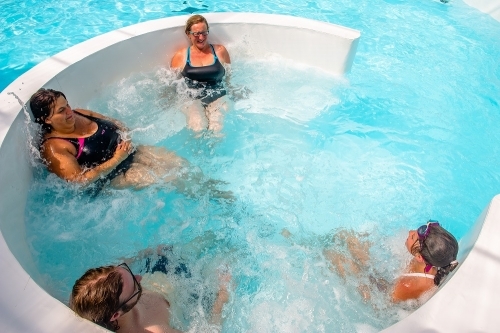 the indoor pool is open and heated from 1st april to 15 september.